The amount of current (amps) required for electroplating is determined by the total amount of surface area that is in the plating bath. Larger Kit sizes (eg. 20 litres and above) allow more surface area to be plated at one time and therefore more current (amps) are required. 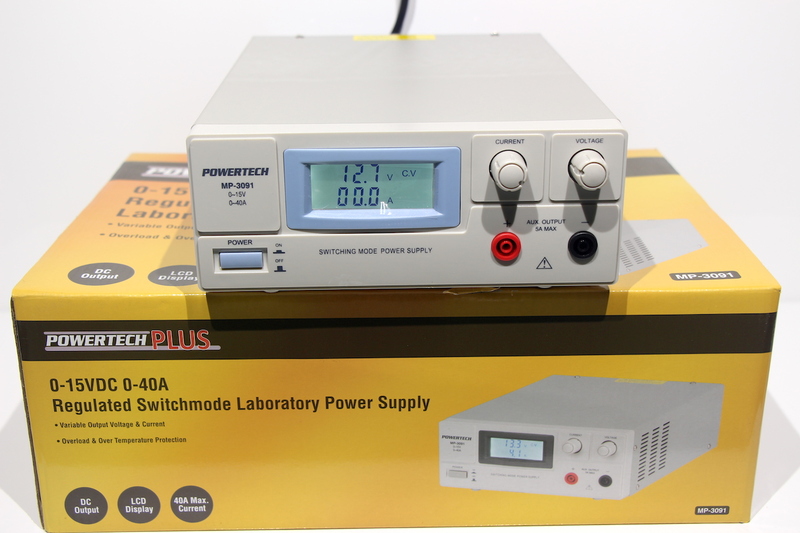 This high powered dual controlled switchmode power supply will deliver up to 40 amps which is ideal for our larger Kits. 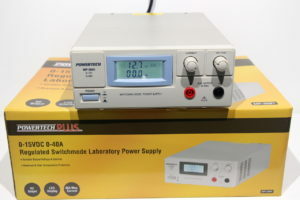 This unit is able to provide a constant Volts or constant Current (amps) which allows total control of critical ampere delivery which is a must for electroplating. 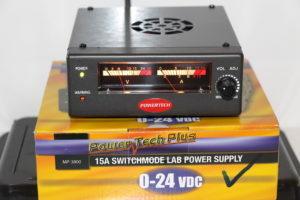 It has a variable output voltage from 1 to 15VDC and variable current from 0 to 40A. 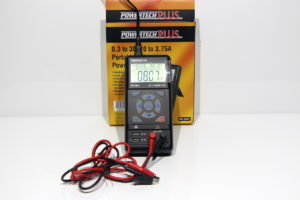 It features overload, short circuit, over temperature and tracking over voltage protected. Output voltage and current are displayed on large, easily read seven segment LED displays and incorporates an intelligent fan control program that checks the fan at power on and adapts the right speed to ensure quiet and efficient operation. The maximum current output is 40 amperes continuous. Incredibly light, weighing only 2.9Kgs. 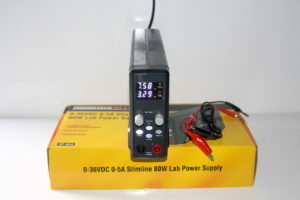 Includes mains power cable and positive and negative power cables.